The ‘Black Hole’ of Palaeoanthropology is not a term you hear very often, but then again what is there to say about the biogeographic history of a 1.77 million square kilometer region (Turkey, Saudi Arabia, and Iran) with virtually no faunal, human or archaeological sites. At this point it would seem easy to resign yourself to the words of Timothy D. White at the dawn of the 21st century, that we are not going to find many more fossil hominins. The mark of a great palaeoanthropologist is to never give up that curiosity for the unknown. Since White’s depressing prediction, he has been roundhouse kicked to Wrongville, with the spectacular finds of Ethiopia, South Africa, Myanmar, China, Flores and much much more. We have learned so much thus far, don’t lets forget this. Sounds great but these inevitably throw up more questions than answers. And the ‘Black hole’ is a particularly hard nut to crack. What does archaeology have to offer? Ethiopia features the earliest concrete evidence for hominin stone tool manufacture. At 2.6 million years of age it predates the earliest known human – Homo habilis – by less than 300,000 years years (Fossil Code: A.L. 666). Saudi Arabia has a rather rich representation of Mode 1 (Oldowan) stone tool clusters. If you don’t know to millimeter accuracy where the stone tool was found, or if it is a surface find then it is worthless to science. The Saudi sites were also used during the Holocene (11,700 years ago to present), begging the question how can you separate Early Pleistocene (2.5 million years ago to 700,000 years ago) from Holocene activity? At least we can tell that hominins took one route out of Africa. Stone tools similar to the Oldowan found at Perim Island supports the hypothesis that early hominins crossed the Bab al Mandab Strait (20 miles wide). Iran has probably the most depressing lack of archaeological evidence of the region. Isolated finds dominate, both the Oldowan and Acheulean records of Iran and few excavations have taken place. South of the Caspian Sea is the site of Ganj Par, which yielded 100 limestone tools within half a hectare. This assemblage shares similarities with those of Ubediya, Israel and the Oldupai Gorge (also known as the Olduvai Gorge), Tanzania. Turkey repeats much the same story. Of the 200 Palaeolithic sites, less than 25 have been even partially excavated. The majority are restricted to the fringes of the Anatolian plateau. None are any older than 1.3 million years of age, further supported by Argon-Argon dating of Kula, western Turkey to 1.24 million years of age. The site was the location of a palaeomeander which contained a solitary Quartz flake, 5 x 4 cm. Volcanic activity interfered with the palaeomeander and it was that lava flow that allowed the date to be so accurate. The take-home-message from Turkey is the earliest securely dated archaeological remains support the 1.1 million years calculated for the Kocabas skullcap, which shares affinities with OH 9 and KNM ER 3733, attributed to H. erectus. Debate continues as to its taxonomic status, but it does reflect a great deal of H. erectus characteristics. The Archaeology tells us that hominins with the ability to make stone tools were already out of Africa 1.8 million years ago, at the site of Dmanisi, Georgia. It is the richest fossil hominin location at the ‘black hole’ fringe. The Fall of 2013 was just another milestone in sites long history of archaeological investigation. The discovered cranium (D4500) was reunited with its jaw (D2600) and the team of palaeoanthropologists led by David Lordkipandize concluded that the five individuals represented members of the same species, but retracted the classification of D2600 (Homo georgicus) for Homo erectus ergaster georgicus. This raised some eyebrows in the palaeoanthropological community, particularly Fred Spoor, palaeoanthropologist and lecturer at the UCL Department of Anthropology, who pointed out that such an action is not outlined in the code of zoological nomenclature. This is a minor debate in the palaeoanthropology, but most agree that Homo erectus exhibited a variation comparable to that seen in modern Homo sapiens today. 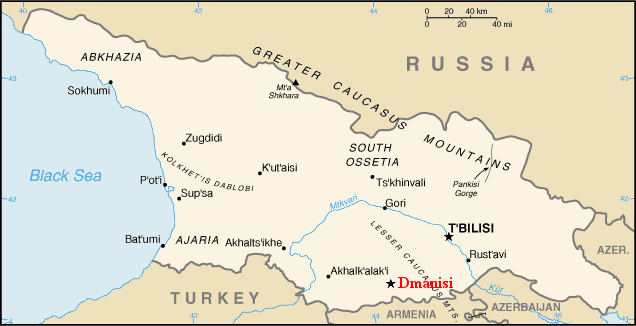 Dmanisi is proof that hominins were already out of the African continent by 1.8 million years. Additionally, although the dating of the hominins of Java are in the doldrums, these specimens could be as much as 1.8 million years of age. Prior to that time some hominin species made it’s way north, but which one? On the 23rd of January 1995, a French-Chadian team of palaeontologists discovered a fragment of fossil jaw (Fossil Code: KT 12/H1) lying on the gravel desert of northern Chad. The fossil (nicknamed “Abel”) could not be accurately dated, nevertheless stratigraphic layers nearby suggested it could as much as 3.5 million years of age. Back then, the river Bahr El Ghazal flowed into a 3 million square kilometer lake called Megachad. This hominin foraged on grasses that dominated the Koro Toro region. The palaeontologists gave “Abel” a new species name – Australopithecus bahrelghazali distinguishing it from another australopithecean – Australopithecus afarensis. That species lived in the eastern region of the continent, over 2,500 km from the Bahr El Ghazal site. The animal remains found in the stratigraphic layers of both regions were pretty much identical, which means the ecosystems were the same. Therefore, you can see why some palaeoanthropologists consider it plausible that “Abel” is just another Au. afarensis. This goes back to the argument that, what we are looking at here is just another variation of the same species. Either way, here we have australopitheceans in eastern and north central Africa. Theoretically, it is plausible for australopitheceans to have made their way into Arabia. 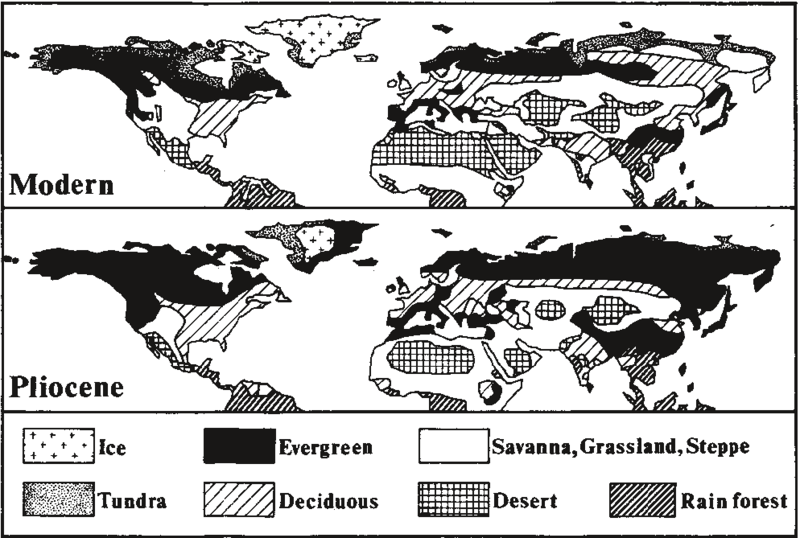 Every organism has a landscape format that they thrive within. Lions are quite at home in the savannah, Tigers frolick in the dense jungles of the Indian subcontinent and hominins, particularly australopitheceans, were quite at home in savannahs. 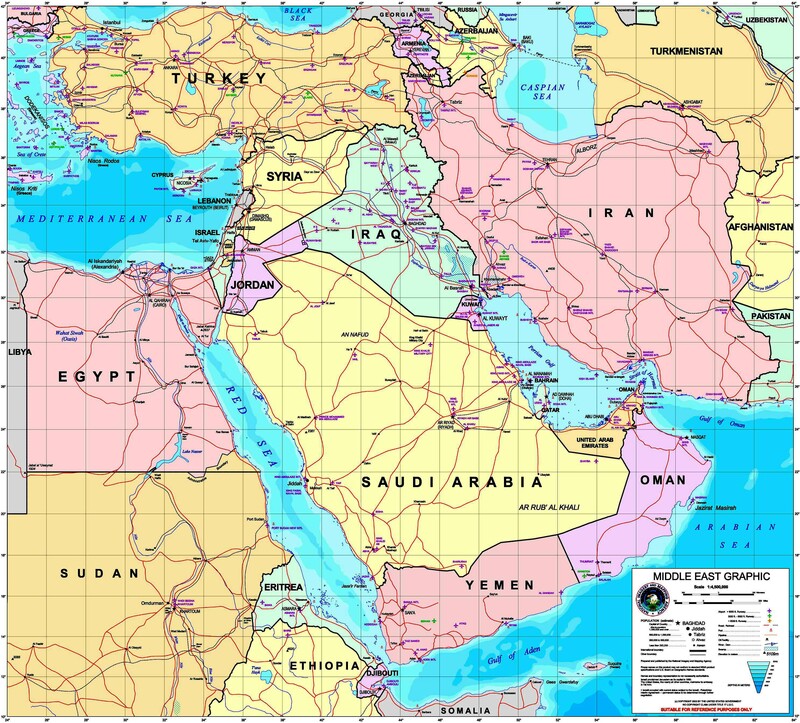 If we are to prove that they made their way into Arabia, there should be an extension of savannah into the Eurasia 3-4 million years ago. Sadly we are not seeing this, but what do we see. The faunal record of Saudi Arabia is particularly fragmented and sparse. Western Turkey (Calta) 2.3 million years ago, saw Raccoons, Giraffes, Hippos and the extinct “Running” Hyena. Many associate Bethlehem with the Christian story, but few know that at about the same time, this region featured Raccoons, Sabre-Toothed Cats, Rhino, an ancestor to the Mammoth and ancestor to the modern boar. While 110 kilometers north of Bethlehem and 700,000 years later, Baboons lived south of the Lake of Tiberias, around Ubeidiya. 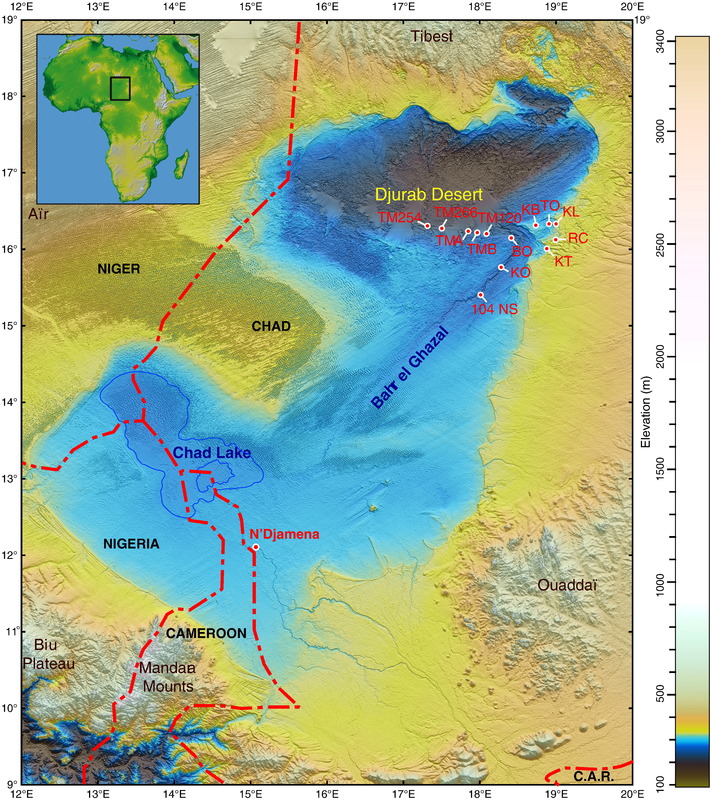 Lakes were magnets for faunal activity and therefore hominin activity. 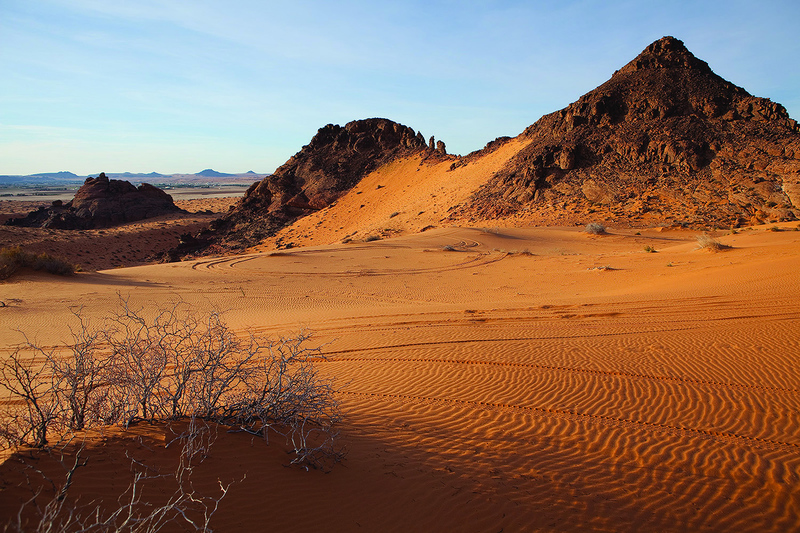 The An Nedfud desert of northern Saudi Arabia is classic wilderness today, 2 million years ago it was the hub of a diverse ecosystem with a lake as the centrepiece. The faunal remains were recovered from three localities and share similarities with the kind of fauna you would expect at Ubeidiya and the Oldupai Gorge. Hippos were found at these sites and since modern day counterparts prefer standing water to a depth of 5 meters, it gives an initial sense of the size of ‘Lake An Nedfud’. A lake capable of supporting fish life, but this is not the only lake to have supported faunal biodiversity in the ‘Black Hole’. ‘Lake Negev’ developed around 1.8 and disappeared around 1.5 million years ago under ever increasingly arid conditions. It supported fish populations and laid down 15 m thick sediments over 18 sq km². Besides these lakes, there were smaller lakes, Oases and springs that would have allowed hominins to hop, skip and jump out of Isis territory and into the more accommodating environments of Europe and eastern Asia. Looking at the faunal remains you can get a sense of the climate that prevailed at whatever time period you are interested in. The climatic mapping of the Pliocene and Early Pleistocene of the ‘Black Hole’ are, you’ve guessed it understudied. We do know that two and a half million years ago, the forests of Azerbaijan gave way to Savannah and the Arabian peninsula experienced 2 million years of humid conditions, capable of keeping many large (now extinct) rivers topped up. There you have it. We know alot, but we know so very little about this massive region of the world. We lack fossil hominins in this region and I don’t think Isis would be willing in finding their early ape ancestry any time soon. It would definitely be a useful distraction from Wahhabism. Do something useful for a change, Isis! Get out there and find us those damn fossils! You ignorant misogynistic apes!